The internationally popular game is great not only for kids, their motor and mental development. It’s fantastic for small groups of friends and strangers that meet and spend some time together. These simple sets of wooden tiles will definitely make your intimate or swinging parties fantastic, outstanding and really amazing! If you drink alcohol, why don’t you laugh at simple, real-life situations that don’t offend anybody present in the rooms or the ones that are temporarily absent? This amusing entertainment helps you to get each other’s measure, make friends and just relax. 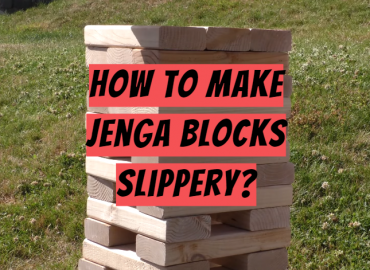 Will you be able to pull a block accurately when you are really drunk? 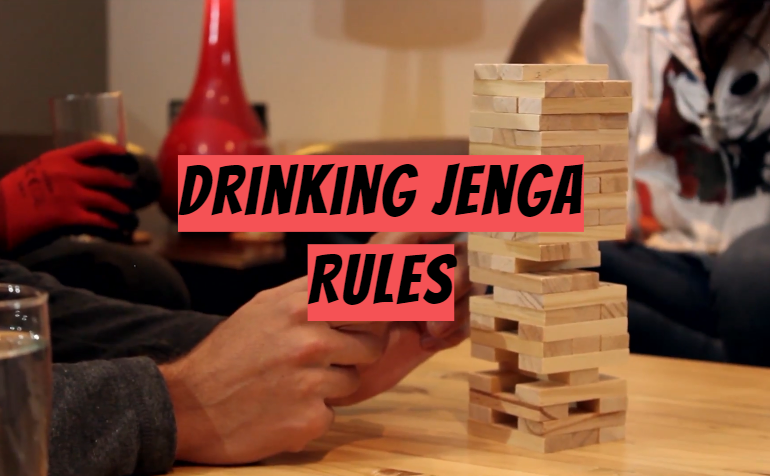 So, check the basic Jenga drunk rules and arrange an unordinary surprise get-together for your friends or colleagues. 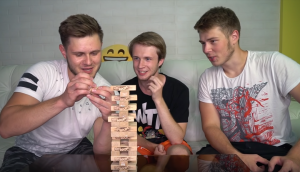 How to Play Drinking Jenga? 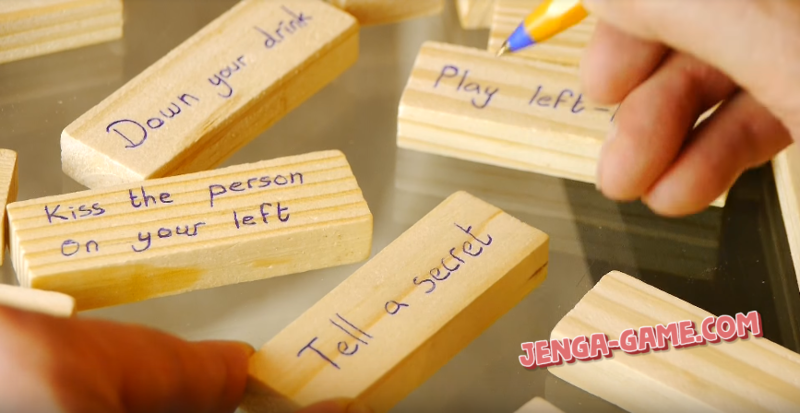 The game can be suitable for two people, for example, during a date: for a small birthday party or anniversary, for a pint-size team retreat. For instance, Christmas is an excellent occasion when you can play and communicate with your family members or friends all through the night and come into its own, becoming plastered to the wall and really relaxed. 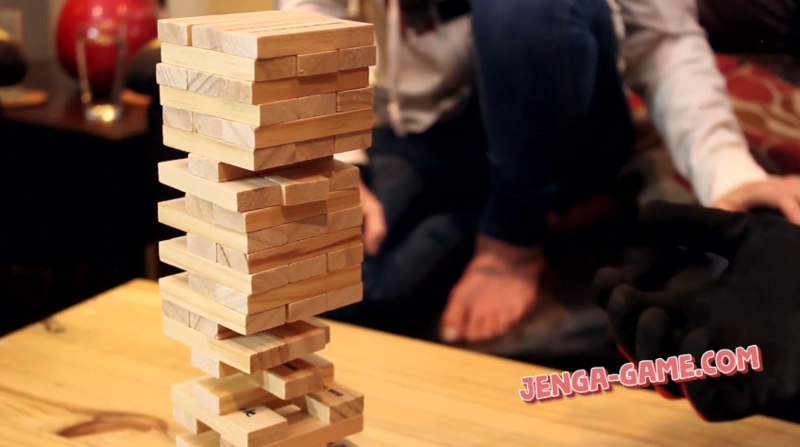 By the way, a Jenga set would be fantastic, dream Christmas gift, versatile, suitable for anybody and quite unconventional. 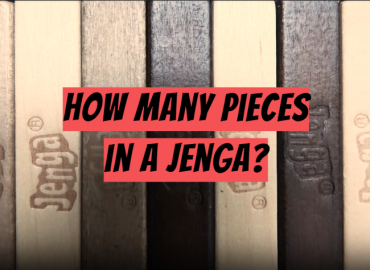 However, as the set includes only up to 54 blocks, the number of players is to be limited. Otherwise, the game would be too short and not challenging for everybody. a stand or a tray to build the tower. 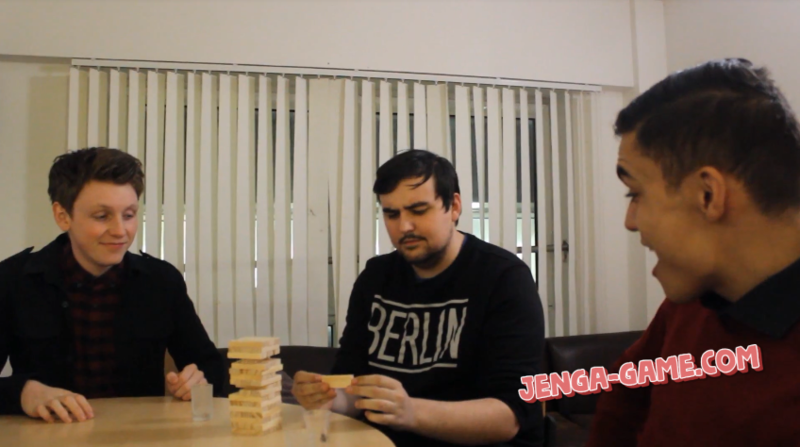 The blocks’ sizes can be different; I guess, large, oversized ones are the most suitable for a drinking party. They are to be durable, solid, as they can get into hot water, so, the items made of hardwood would be preferable. The tiles are to be painted in bright colors, by permanent markers or the special spray paint. The funny questions or phrases are to be written on the boards. Additionally, a table with the alcoholic drinks is to be nearby, as the game rules demand it. Therefore, let’s study and apply them. Thus, preparations for the party can be amusing, as well. Take a marker, and scribe some questions and tasks to perform on each item. It’s preferable to write the phrases or questions on large, face block size. Actually, the standard, classic tasks for the players exist. They include offers to take a drink, speak with a strange accent, make some noise, kiss somebody, call a friend, order some food, text a funny message. The suggestions to drink may be intended to ladies and gentlemen, the oldest and the youngest person, the tallest and the shortest player. 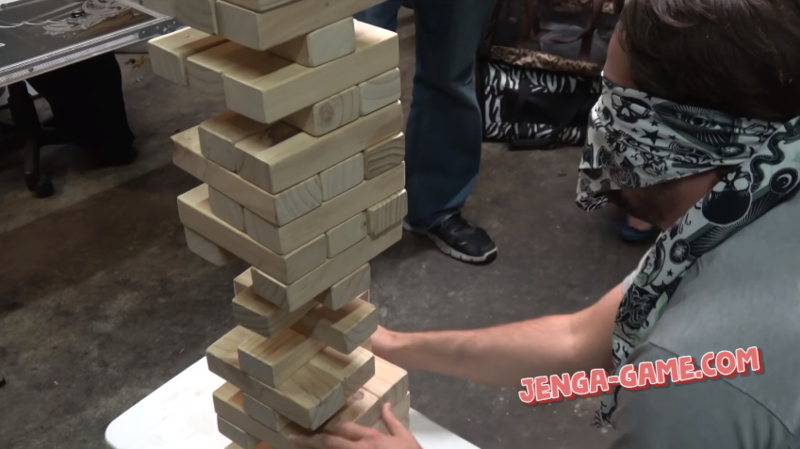 However, Jenga is a quite liberal, versatile game, so the rules may depend on the party occasion, the ages, convictions of the players and the relations between them. For example, a rule to share a joke can be suitable for everybody. Only very close friends can be offered to remove some pieces of clothing. The proposition to lick the carpet would be good only for the very end of the party, but I would prefer a washroom break. proceed with the adjacent row of blocks. The tower commonly consists of 18 stories; only 3 tiles per story. 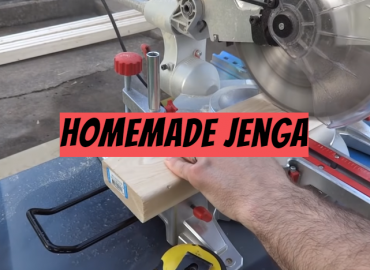 You are to pull and remove a tile from one of the bottom rows that is not stable, able to make the whole building fall down. Unofficial rules also exist, being plentiful and multifarious. 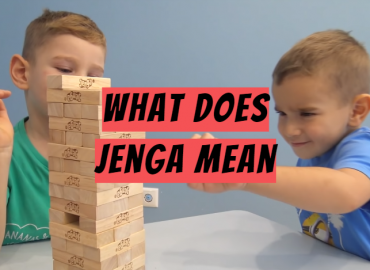 For example, you can be ordered to pull the tile by one hand, holding a wine glass by the other hand; knock the tower after having a drink, cracking a joke or completing the task. The basic benefit of the game is that you are completely free to apply your imagination. Just adjust the rules and tasks for the views and tastes of your guests and have fun!